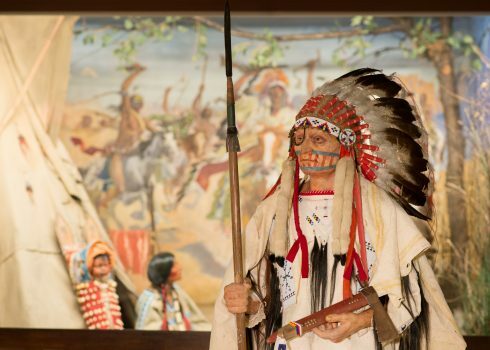 This section provides you with information on current projects to preserve the objects in the collections or to reconstruct the historical museum ensembles. 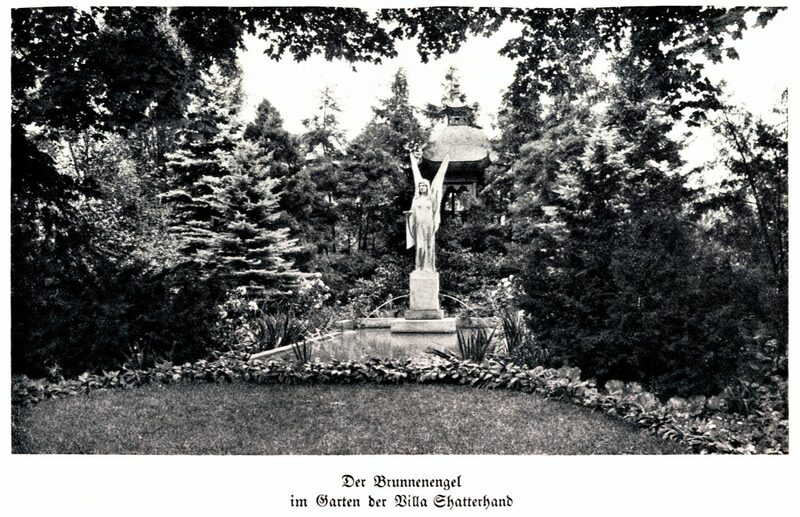 The historical fountain angel symbolised Karl May’s pacifist and mystical late work and decorated the spacious museum park from 1918, when it was commissioned by Klara May from sculptor Professor Paul Peterich, until it was dismantled in 1974. 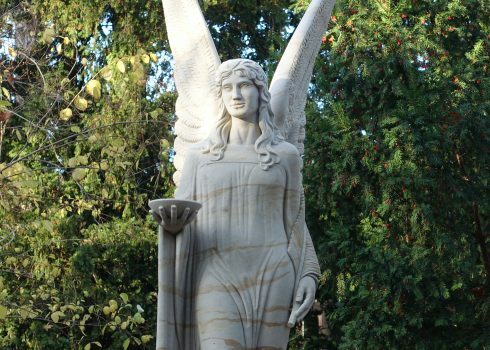 The fountain angel and its water feature was rebuilt faithfully to commemorate the 90th anniversary of the Karl May Museum on 1 December 2018. 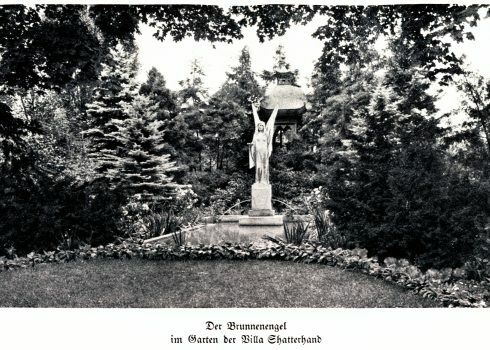 Now it again decorates the museum park urging Karl May’s ideas of global peace. 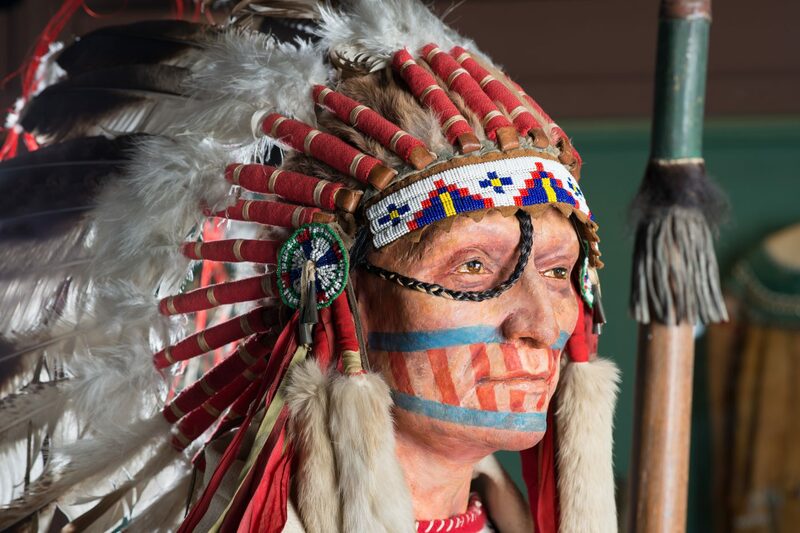 The Karl May Museum’s 16 life-size plaster costume figures were created between 1928 and 1944 by various artists. 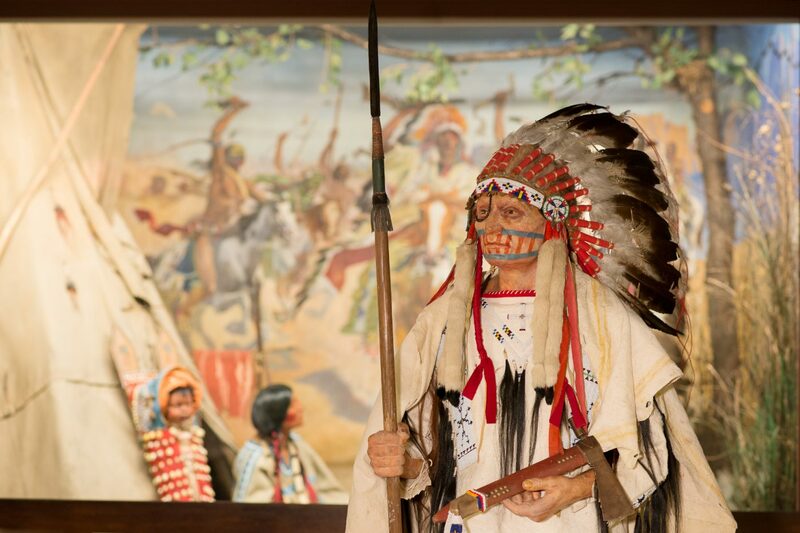 All 16 figures in the Karl May Museum wear ethnographic objects from the collection, some of which are very precious. 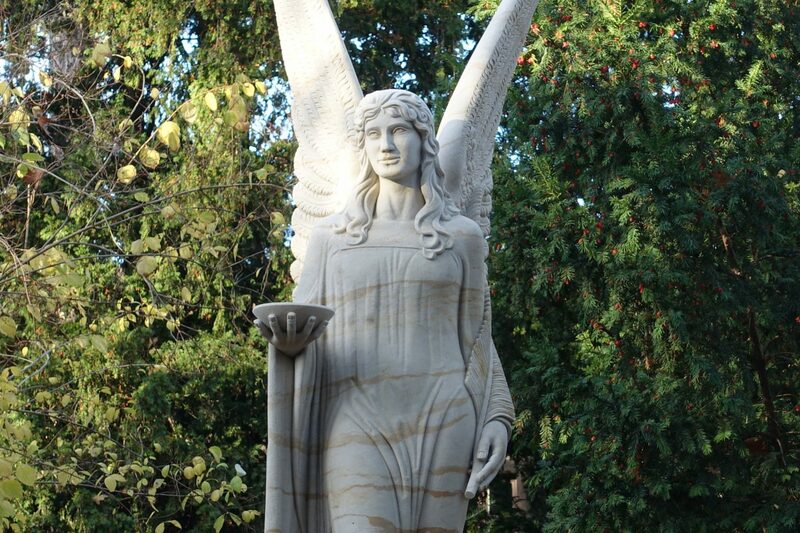 In recent years, in particular the limbs have begun to exhibit damage due to iron corrosion of the supporting material, which is a significant risk to the structural integrity of the figures. Both the figures and the objects on them require urgent conservation and restoration for further preservation. In order to protect the original pieces of clothing on the figures, they will be presented in display cases, while corresponding replicas are produced for the supporting figures. 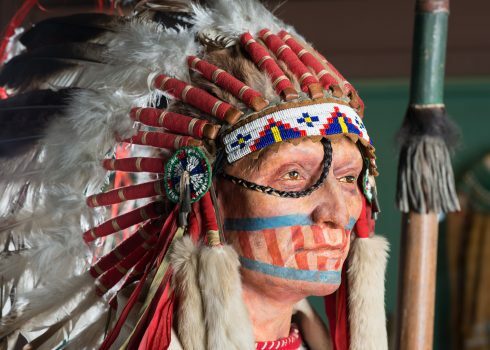 Help preserve the precious costume figures!